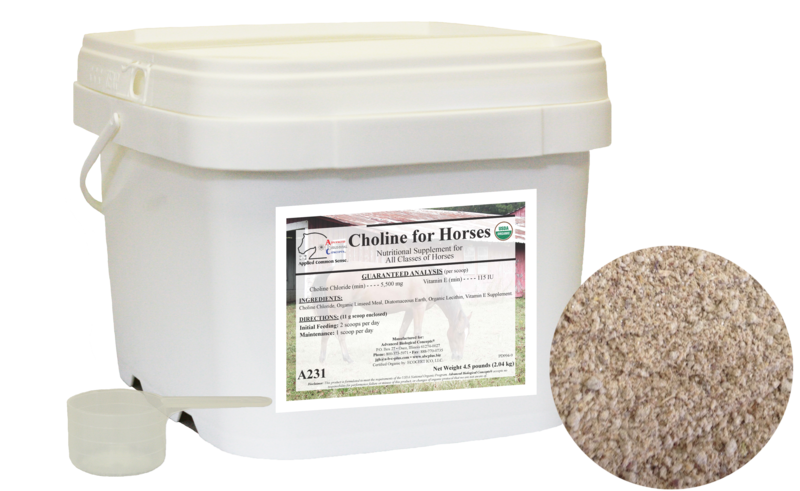 Choline for Horses (Organic) is a supplement that is used primarily for horses that are suffering from diseases of the nervous system and is suggested for post EPM supplementation. 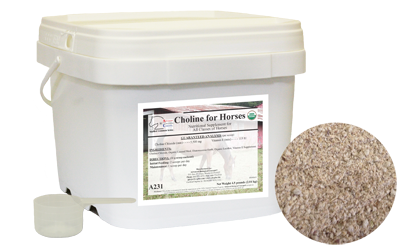 Choline for Horses is a component of acetylcholine, a neurotransmitter. Acetylcholine carries messages between neurons, which enables the brain to communicate with itself and the rest of the body. It also has roles in motor behavior, memory, concentration, amino acid conversion, the transportation of nutrients, such as calcium (Ca), across cellular membranes, metabolism of fat in the liver and is essential for keeping mucous membranes properly moistened. Initial Feeding: 2 scoops per day. Maintenance: 1 scoop per day.